What are you carting to-and-fro these days? Are you slipping something skinny into your bag? Or has something big and bulky so claimed your reader’s affections that you are content to lug it around? I’ve been leaving the big books at home and trying to follow my new year’s readolution to read more magazines, compact and light-weight. This was designed to encourage me to read magazines as soon as they arrive, when they are fresh and new. Rather than allow them to collect on the shelf of a bookcase, one interesting issue atop the next, until they are a blur of might-have-been-interesting-ness. And, yet, a bound volume holds infinite and immediate appeal (see some previous months’ skinny beauts, here and here). Whereas a magazine must vie for my reader’s attentions (with some exceptions, like Brick, which actually is book-like, just as Tin House and Paris Review are). So I have to re-learn this. And again. Which should be redundant, except that, apparently, I do have to re-learn and re-learn and again and again AND again. So this month I have been carrying back-issues of “Maisonneuve” and “The Walrus” with me, freshly inspried by the avant-garde and overtly feminist thinking in “Maisonneuve” and the engaging and diverse topics covered in “The Walrus”. But in the mix are a few books about yoga, which are also skinny (although sometimes surprisingly weighty). Lately, I’ve been re-reading a volume by Margaret Pierce, which isolates movement and breath in a way which I find helpful. But it helps to see the different elements of single poses, teased apart and precisely placed on the page, with arrows for inhaling and exhaling, and text boxes with warnings for tender spots and risky bits. And I think it also helps to look at these things when I am not on a mat, not anywhere near a mat. I’m good at reading about meditation. Less talented at actually meditating. 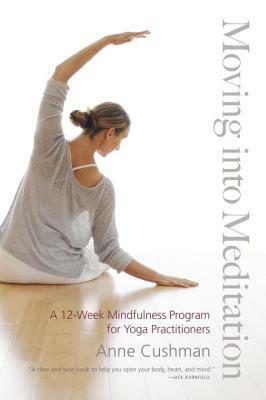 Earlier this year, I read Anne Cushman’s Moving into Meditation, which is a twelve-week program for yoga practitioners. Do you know it? That was rather cart-before-horse-ish of me. It’s been several years since I’ve done yoga regularly. And, even then, I did not have anything like a practice. Back then, it was more like exercise which happened to be kind of yoga-y. On the days when something more cardio-y was not an option. And it was nothing like meditation. Nothing like what Anne Cushman describes, although I am warming to the idea, thinking it would be a good thing. But I’d actually forgotten about this yoga book on my shelves. At the time, there were others which I found more useful. Lately I have been rearranging and tidying the bookshelves, looking for spots in which new books might nestle in, make a home here, where quarters are tight. 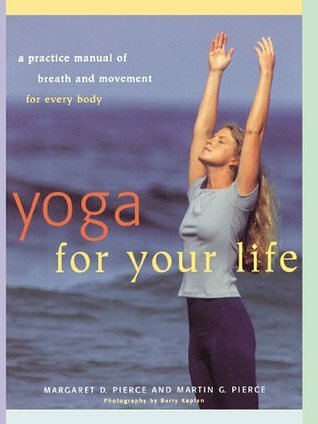 The last time that I was browsing the yoga books at the library, it occurred to me that I should check my own shelves. And then it occurred to me that I could take a book about yoga with me to read, that I can slip anything I like into my bookbag really. It doesn’t have to be the same old thing in my bookbag. How about you: do you think outside your bookbag? Do you bring home too many library books? If one is consciously mindless, is that any different from being oblivious to mindfulness? Is there such a thing as a library practice?